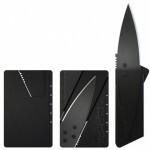 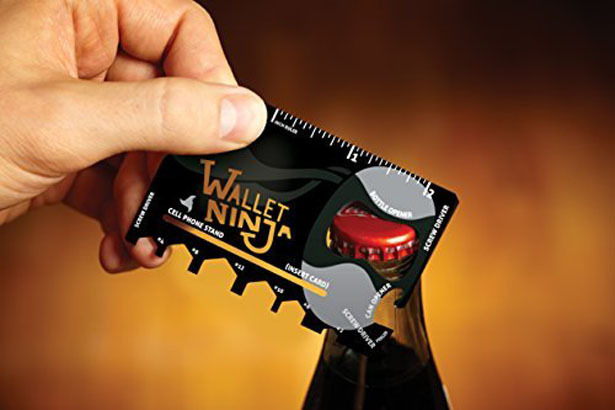 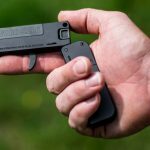 A flat multipurpose tool that fits your wallet, Wallet Ninja offers 18-in-1 pocket tool at the size of your credit card. 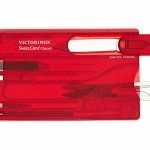 Always be prepared to fix simple tasks, keep this tool in your wallet, it’s a nice companion for campers, mechanics, repairmen, or hobbyists. 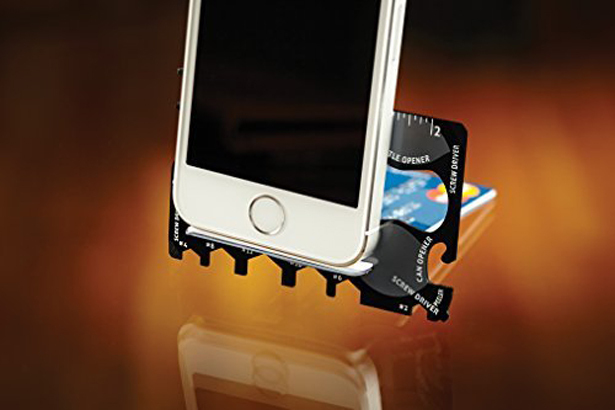 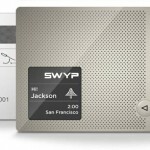 It measures 3-1/4”x2-1/8”, just like a credit card but this piece is made from stainless steel. 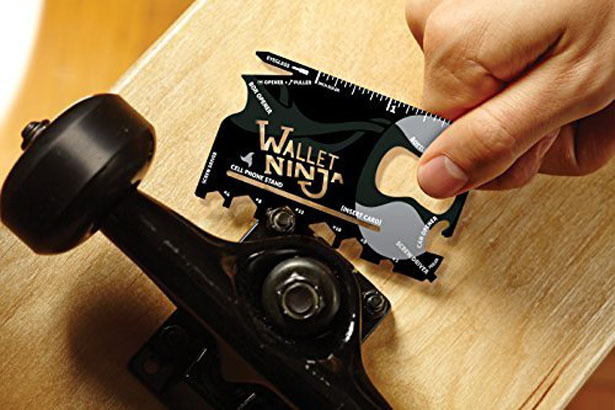 It’s not as thick as other pocket tool, this piece actually has the same thickness as a real credit card yet it’s extremely strong. 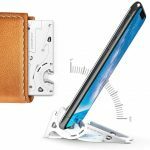 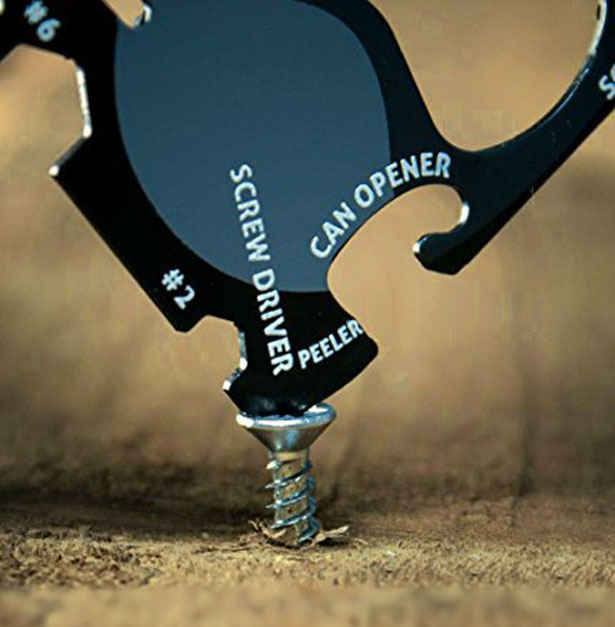 There are 18 functions hat you can use, from bottle opener, can opener, nail puller, four screwdrivers (Phillips, flat, and eye glass screwdrivers), peeler, (6) standard us hex wrenches, box opener, letter opener, ruler, and a cell phone stand. 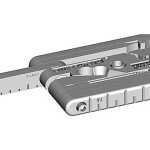 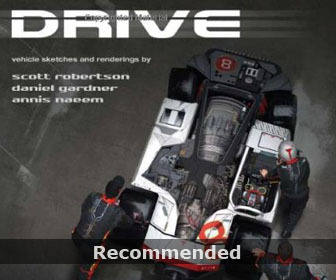 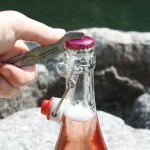 It’s a nice pocket tool for anyone who loves little gadgets. 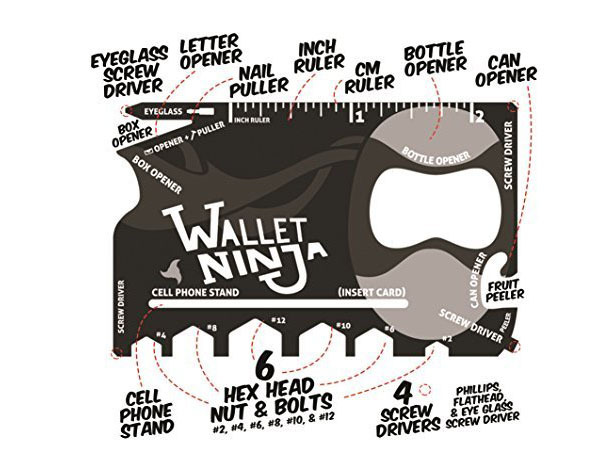 Wallet Ninja is available at eBay and Amazon. 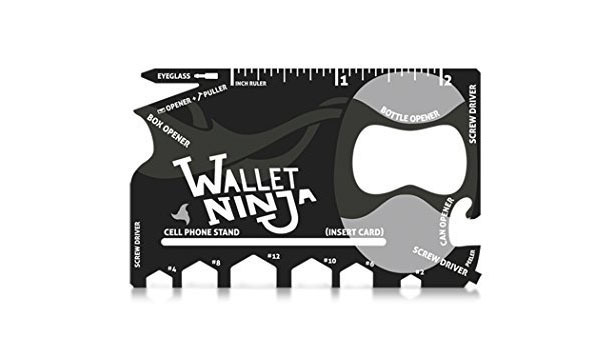 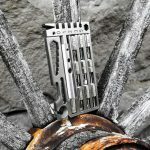 Tagged as multifunctional pocket tool design, wallet ninja multitool, wallet ninja pocket tool.